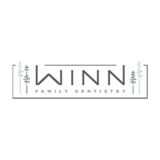 As a parent, you will soon see your child begin to lose their baby teeth and the permanent teeth will appear. As your child loses teeth, they are reaching important milestones in their growth and development. It is important to learn as much as you can about permanent teeth, so you know what to expect and can ensure that your child is provided the dental care needed for quality overall oral health. Primary Teeth to Permanent Teeth The baby teeth, also known as primary teeth, will begin to come in at six months of age. Teeth will continue to come in until age 2 or 3. 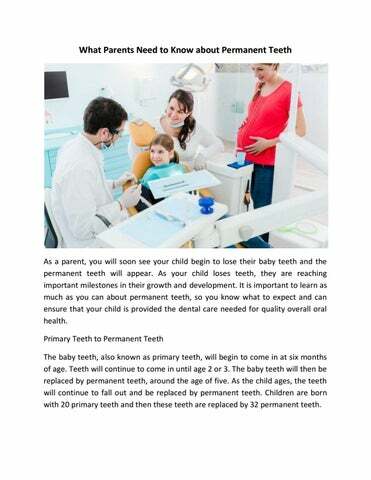 The baby teeth will then be replaced by permanent teeth, around the age of five. As the child ages, the teeth will continue to fall out and be replaced by permanent teeth. Children are born with 20 primary teeth and then these teeth are replaced by 32 permanent teeth.